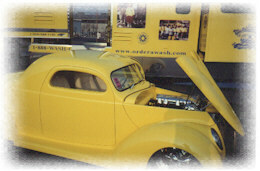 Team Wash Guys steal the show in Louisville, Kentucky Fair Ground at the 2001 Street Rod Nationals. Team Wash Guys went to 31 shows in the Summer of 2001. 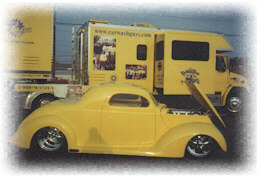 Tractor, truck, Hot Rod, Car, Aircraft and Air Shows. Building brand name recognition is the key to winning market share.